Sofas are essential element of interior décor and make the sense of living space perfect. Sofas express the sense of aesthetics coupled with comfort and luxury. Picking the right kind of sofa for living room purely depends on individual taste, budget and décor of the room. The sofa should match up with color pattern, wall paints and rest furniture of the room. Sofas are extensively used for relaxation in leisurely hours while watching movies and entertaining with friends and relatives sharing the joy of the movement. A whole big range of sofas is available for your choice. You can try any of the following. The frame of this sofa is made of various types of wood. The entire framework is visible except seating and back of the sofa is cushioned. Wooden finishing enhances the look of the sofa as it is nicely carved with superb craftsmanship. The love seats can be made of metal like steel, wrought iron, aluminum etc. The loveseats can be with or without cushions and can provide perfect bed for an overnight guest. Love seats are available in various styles like sleek, traditional, and Victorian to modern style. The upholstered fabric can be natural or printed. The prints may vary from floral prints to conceptual prints and are available in variety of colors. Sectional sofas are right choices and provide sectional look in large living rooms. These sofas add to the smoothness of the room and endow with extreme comfort and style to your living space. Sectional sofas present a variety of fabrics and patterns. The frames of sectional sofas are either made from solid wood or forged metal that gives majestic look to you living space. A sectional sofa with superior fabric gives accents to the interiors of a home. It’s extremely durable and is available in variety of designs like floral, striped, solid etc. Choosing accented color tones for your living will increase the warmth of your home. Sectional sofas provide luxury and comfort to the user. Settees sofas present the look of a long bench with a back. It looks as a part of complete sofa set. A small living room will flourish by the richness of a single settee while a large living room needs to have a complete sofa set to make the space look like a drawing room. Thus the mere existence of settee gives an appealing touch to the entire décor of the room. 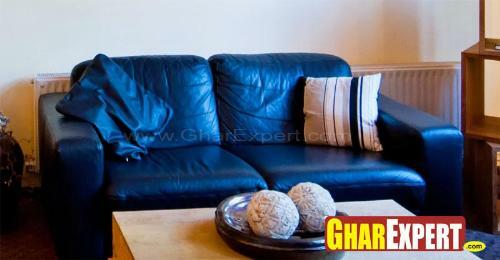 The settee is made of various types of wood like oak, cherry, mahogany, wicker, bamboo etc. The settee can be upholstered except the legs which are nicely carved with fine craftsmanship. Various wood finishing gives interesting look to the settee. The settees of metal frames provide pleasing look to the entire décor of the room. The settees come in various styles like traditional, modern, and sleek carved with floral etc. It’s only carved back of the settee which offers luxurious and majestic look to the room. Sleeper sofa is one of the most alluring articles of furniture because it has spring mounted sleeper and can be transformed from a full size sofa to a chair or a bed to lodge a guest. It’s known as sleeper and becomes very essential item of furniture for living room. This sofa lets dozing off comfortably for many years. Sleeper sofas have nice upholstery like leather, micro fiber, polyester, cotton, cotton blend, silk etc. The fabric used for upholstery can be plain or printed in floral to simple prints. The styles of the sofa cover up traditional to modern styles. A sleeper sofa provides a style as well as offers extra seating for family members. These sofas are very useful for guests. Sleeper sofa fulfils several needs and provides easy seating for family members. One who has spent sleepless night appreciates the usefulness of the sofa as it gives a lot of comfort. Opt for traditional sofa if you do not need it for sleeping because it is more expensive. Keep in mind the size of living room and the size of sofa. Know your priorities whether you want to use sofa as a bed or as a sofa in you living space. Drag the frames several times to ensure reliability of sofa. Check the legs that are part of the whole frame. Try to sleep on the sofa to know comfort which you want. Select appropriate and nice mattress for sofa. 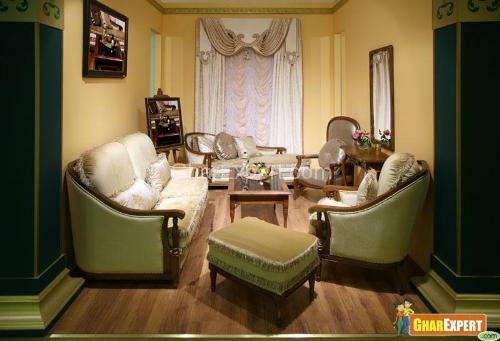 A sofa set is upholstered seat for family members and guests. Usually a sofa set is meant for a set of three chairs i.e. two single chairs and one- two seating or three seating chair. A sofa set makes complete set of the furniture. The sofas enhance the look of living room. There is a large variety of colors and styles for sofa sets. The style may be from traditional to modern. The frame of sofa set is usually made of wood. The seat and back of the sofa are filled in with foam or fiber covered by an upholstery. The filling of the stuff should provide comfort to user. The upholstered fabric may be plain or printed. A large variety of prints should match up with the décor of living room. Chic prints and finishes of the sofas present masterpiece craftsmanship. The outer frame of sofas with its legs also shows an example of fine craftsmanship. 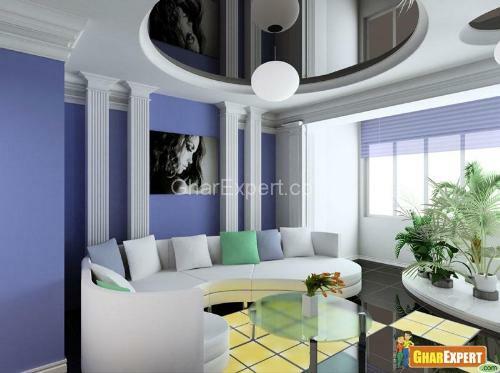 The sofas may be customized in any shape as per design requirements. The sofa is an ideal item which provides relaxation and comfort to the person sitting on it. Thus sofa set couples the beauty with craftsmanship naturally. Inflatable sofa is the latest trend for room décor. These sofas are also called ‘air sofas’ and are available in multiple colors, different styles and designs. Inflatable sofas are mostly made of plastic and can go well with update finishing of the room. These come in various sizes and shapes. Advanced techniques have improved their quality and have made them popular over the years. The plastic used for inflatable sofas is long lasting. Therefore it is very durable, decorative and inexpensive for your room furnishing. Decide the use of sofas that is how to go up with the sofa to accelerate the process of home décor. Know the way to properly set up the sofa from manufacturer. Always abide by the manufacturers’ guidelines for proper maintenance. Remember to verify the information on weight capacity. Keep inflatable sofa away from direct source of heat. This sofa serves the purpose of normal sofa. It’s inexpensive as compared to other sofas or furniture because of its low cost. The sofa adds comfort when you are away from home because it is easily portable. These sofas are durable and comfortable. Thus these have become functional choices for living room.